Webinar presenters Sabath Huttle and Krystle Curley of the King County Regional Domestic Violence Firearms Enforcement Unit answered a number of your questions after their presentation, "Domestic Violence and Firearms Relinquishment: Setting Up Your Firearms Surrender Program." Here are a few of their responses. 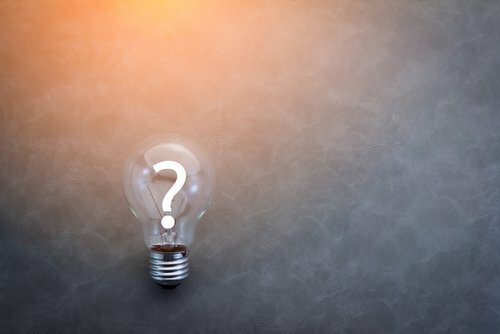 Audience Question: Do you happen to have a list of references or resources especially for those research articles at the very front end of your PowerPoint presentation? Specifically, the audience member was asking for the five times more likely — they could not take notes fast enough. Do you have a list of those references, etc.? Audience Question: Are there other requirements made of the DV offender in addition to surrendering their weapons like anger management classes, anything like that? Krystle Curley: Yes there can be – the court can order such things as drug treatment, parenting classes, batterer’s treatment, etc. These interventions would be ordered at the time the protection order is granted. Our unit does not have the ability to order these interventions, only the court. 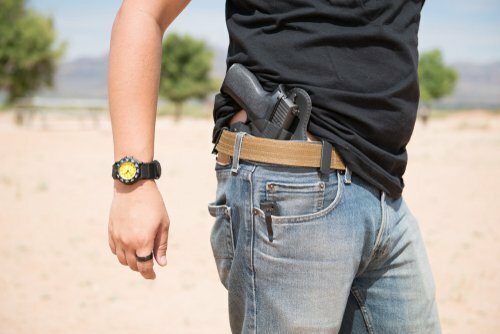 Our unit is specifically focused on securing firearms and concealed pistol licenses. Audience Question: You talked about the first three people that testified that they said didn't have any other guns. Were any of those three firearm owners who indicated that they have no firearms, were they ever charged with perjury? Krystle Curley: Yes, they were. Audience Question: So, when the offender lies on the forms, you do go back and prosecute? Krystle Curley: Yes, I am a very aggressive prosecutor and do not shy away from filing charges. However, I try to remember that although I still do try cases, my role in this unit is primarily getting the firearms by whatever means I can. 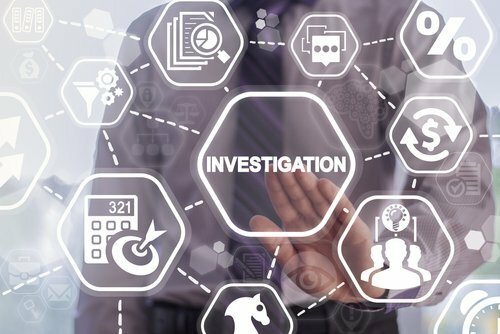 Filing charges can be used as a leverage for bringing people into compliance and is also an important part of holding people accountable for their actions. Audience Question: Are protection order respondents automatically entered into the National Instant Criminal Background Check Systems or NICS? Krystle Curley: I believe so, yes. Audience Question: What does it mean when a person says they are a registered carrier? Is it just that the serial number is registered or is that information registered and shared? Krystle Curley: There is a common misconception about the idea of being a “registered carrier." It is really a misnomer. Gun registries, per se, in this country do not exist. 4) the system only records purchases made at federally licensed dealers – so if you buy a gun from a friend or family member, that’s not recorded. Most states do not have similar types of databases. So if we are working on a case where the respondent lives in Texas, the authorities in Texas cannot provide us with gun purchase information because they do not track gun purchases in any way. So when people say “he has a gun registered in his name," that doesn’t really mean anything. The way we interpret that here in WA is that the person likely bought the gun through a federally licensed dealer, versus buying it on the street or from a friend. Audience Question: When you say firearms, does that include things like airguns? Audience Question: Does it include ammo? Krystle Curley: Federally it does but for the state of Washington, ammunition is not included in what is ordered to be surrendered. We wouldn’t pursue ammunition. Audience Question: Who stores the firearms? Sabath Huttle: The individual law enforcement agencies that the guns are surrendered to are responsible for storage. I know there are probably a lot of people listening from law enforcement agencies that are like, “we do not have enough room for all these guns, how are we going to store these guns?” and that's a very big issue. There are a lot of agencies out there that don't have the space in their property rooms to take these extra guns and we don't claim to have the exact right answer to that problem. Krystle Curley: Our answer for now is that we’ll cross that bridge when that happens. I'd rather have all firearms and worry about maxing out storage rooms if/when it happens. I know it was a huge concern for a lot of individuals in the work group. Audience Question: What do you do when a case starts to cross state lines like that? How does a firearms owner surrender their weapons when they are out of state? Have you found other agencies out of state to be cooperative? Krystle Curley: Say, the respondent has a weapon and he has to turn in, he goes to his local law enforcement agency – he would go with the order to surrender weapon, and say, "Hey I got this order to surrender weapons from Washington state, I have to turn my gun in." Our Order to Surrender Weapons forms say you are required to surrender to “blank” agency. It is usually the agency where the person lives or to a specific agency. Our Court is really good about listing agencies in the respondent's jurisdiction on the Order to Surrender Weapons form. Sabath Huttle: We’ve never had any issues with agencies getting in touch with us saying “we are not going to allow this person to surrender their weapons to us." We've been surprised, happily surprised, at how much other agencies out of state have been willing to work with us. Audience Question: Are private process servers used to serve orders in Washington State? Krystle Curley: They are and we highly recommend against it just because of safety issues. Sabath Huttle: The problem is sometimes it becomes necessary to go down that route of hiring a private server. There are certain agencies that we work with that only try to serve documents one time and if they can't serve that one time, they are not going to try again. They just don't have the capacity to dedicate so many hours to trying to serve one person. When that happens, the Temporary Order keeps getting reissued and reissued. Sometimes petitioners are kind of forced into a corner to go down the private server route just to try and get the documents served. Audience Question: Do all protective orders include an order to surrender weapons? 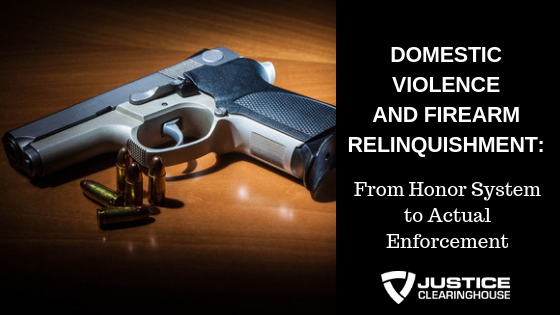 Click Here to Watch a Recording of "Domestic Violence and Firearms Relinquishment: Setting Up Your Firearms Surrender Program."